Each sheet comes with corner pasters for easy repair. 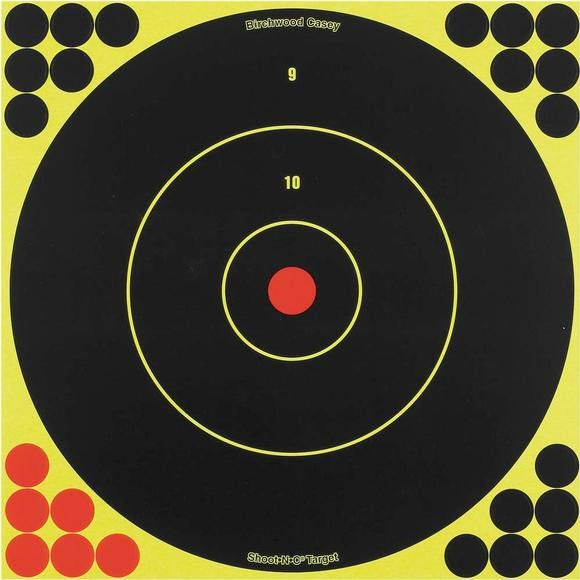 These Birchwood Casey 12" Bullseye Targets are great for lon range rifle shooting - 200 yards and beyond. The greater surface area makes them the perfect choice for use with muzzleloaders, shotgun slugs and to show shotgun patterning.